Chelsea will be the first team to play David Moyes’ Manchester United at Old Trafford when the London club visits the English champions this Monday. United-Chelsea rivalry has come to mean a lot to both sets of fans over the last decade with Chelsea being one of the few teams to successfully fare at Old Trafford. The fact that both the clubs have had a managerial change since the last time they met, has added newer dimensions to the game. Jose Mourinho has returned to Chelsea, while Alex Ferguson has stepped down after being at helm for 26 years. Let us take a look at all the information we need before the match kicks off. DATE & TIME: August 26, 2013 at 15:00 EDT; August 26, 2013 at 19:00 GMT; August 26, 2013 at 20:00 BST; August 26, 2013 at 20:00 WAT; August 26, 2013 at 21:00 CAT; August 26, 2013 at 22:00 EAT; August 27, 2013 at 00:30 IST. 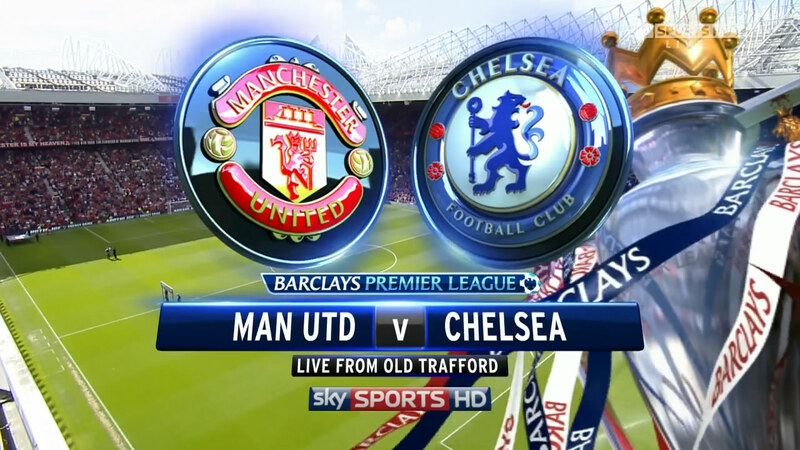 VENUE: Old Trafford, Manchester, United Kingdom. TV/STREAMING NEWS: Chelsea TV will stream the game live. The match will be telecast live on Fox Sports 1 in Australia, TSN & RDS2 in Canada, Sky Sport 1 in Germany, Star Sports in India, Fox Sports HD in Italy, Gol Stadium in Spain, Al Jazeera Sport HD1/HD6 in UAE, Sky Sports 3D & BBC One in UK, NBC Sports Network in USA. CHELSEA FC SQUAD NEWS: David Luiz and Tomas Kalas are still out of contention due to injuries. However, it has been confirmed by the manager that Luiz will be available for the Super Cup tie vs Bayern Munchen. Predicted Starting XI: Cech, Ivanovic, Cahill, Terry (C), Cole, Ramires, van Ginkel, Mata, Oscar, Hazard, Torres. MANCHESTER UNITED SQUAD NEWS: Moyes will miss Rafael(hamstring), Nani(groin), Ashley Young(ankle) and Chicarito(hamstring) because of injury. Rooney is however expected to play a part in the game after his relatively successful cameo against Swansea. Predicted Starting XI: De Gea, Jones, Ferdinand, Vidic, Evra, Cleverley, Carrick, Valencia, Rooney, Welbeck, van Persie. TACTICAL OVERVIEW: United comfortably won their last game against Swansea. The highlights of their gameplay involved pressing the Swans hard when they lost possession & at the same time maintaining a good defensive line in such a way that the opponent was not allowed space in the final third. The United players are capable of exchanging short passes as well as indulge in direct play. This attribute makes the English champions dangerous & the Chelsea defense must make sure not to lose concentration. United’s biggest threat is Robin van Persie. Persie’s clever movement & strong finishing were the basis of United’s title securing run last season. If his performance against Swansea is anything to go by, the Dutchman will play a crucial role for Moyes’ side. Chelsea could be the first team to win at Old Trafford twice in a calendar year if they manage to come home with three points. Manchester United have suffered 14 Premier League defeats against Chelsea; more than against any other side. United’s win percentage against Chelsea in the Premier League is just 31%; their lowest figure against an opponent in the competition. Jose Mourinho has lost just two of his seven competitive games as a manager at Old Trafford (W3 D2 L2). Juan Mata has scored in each of the last three Barclays Premier League games between Chelsea and Manchester United. IN A NUTSHELL: Chelsea have an opportunity to open up a six-point cushion at the top of the table if they win this match. As Gary Neville had stated earlier in the summer that Mourinho’s Chelsea teams have had a tendency to start the title race well & put other teams out of contention by the time December arrives. Wayne Rooney’s role will be another interesting aspect to watch out for in this match. Although it might be too early to make title predictions based on the result of this match, the backdrop & the potential tactical contest is too absorbing to ignore. if we play the the way we did against Villa they will put 6 passed us, we really have to improve!! As a chelsea die heard fan, It will be very difficult to defeat Man United with the type of the match play we did against Aston Villa..Chelsea did not do well at all with such sluggish style play. Mourinho need to improve his style of play and Man United is a big team and he should try to use Mikel on he knows how to deal with United players. Our players should try to hit the short on target from yard bcos Man United will put serious restrictions and not allow Chelsea to penetrate on their keeper bowl. I believe man u wil never beat chelsea again highest they would have is draw under may be,so blues 4 life. Insha allahu man u wil gate three point from chelsea,Up Devils. I believe that the boys are good to make us proud because victory is ours.Blues for life. So far as i remain my humble self a chelsea fan i hope we will win arsenal.